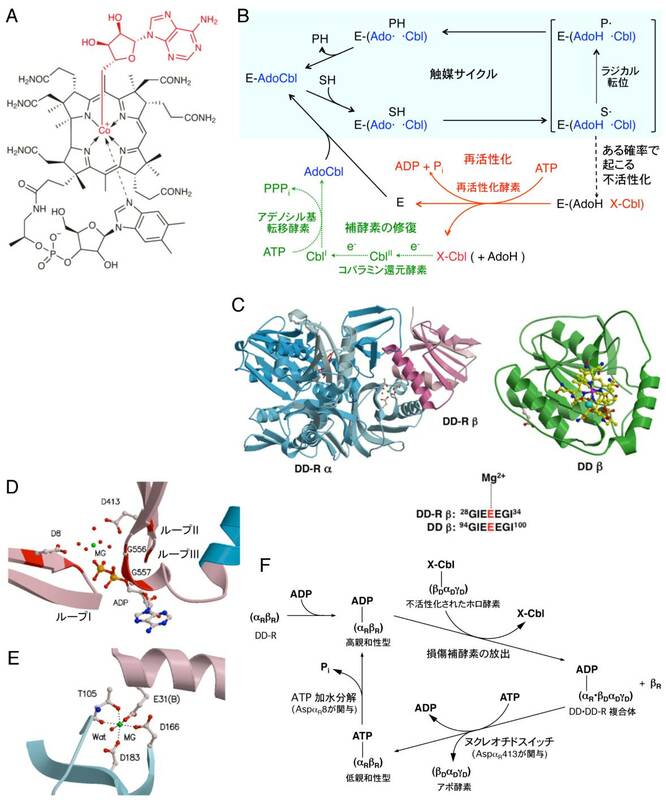 発表論文：Mori K, Obayashi K, Hosokawa Y, Yamamoto A, Yano M, Yoshinaga T, and Toraya T. Essential roles of nucleotide-switch and metal-coordinating residues for chaperone function of diol dehydratase-reactivase. Biochemistry, 52, 8677-8686 (2013). dx.doi.org/10.1021/bi401290j.